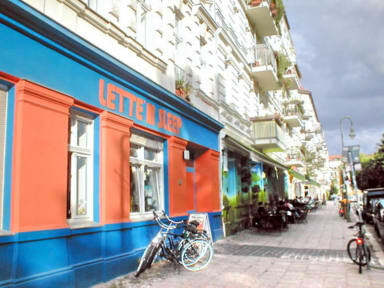 Our hostel is located in the heart of the central district Prenzlauer Berg, one of the most popular and prettiest districts in Berlin. We're surrounded by funky cafes and typical vintage Berlin bars, cheap eateries and award winning restaurants, boutique shops, unique galleries and great second hand stores. The area is home to Berlin's oldest Beer Garden as well as the famous Mauer Park, which hosts the city's best flea market every Sunday. Super cozy and relaxed, we pride ourselves on being a true backpacker's hostel. We offer various dorm rooms as well as private apartments, all in a 19th century building on the lovely Helmholz Square. Our friendly multilingual staff have been living in Berlin for years and will happily share their inside knowledge on what to do in this vibrant cultural city. 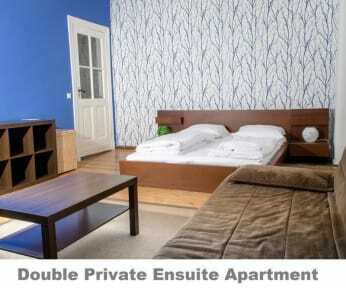 All major tourist attractions are within easy reach with all types of public transport; metro, trams and busses just a stone throw away from the hostel. Overall it was a good stay. Strangely though, I emailed them that I was arriving late and when I showed up the guy at the reception kept telling me “they were full not tonight” even though I had a reservation. After about 30 minutes of sitting around in the common area (some other travelers let me in), the receptionist guy came in and said I can finally have a bed but need to come back in the morning. A little strange but the bathrooms were so clean so it makes up for it! I enjoyed my stay. The staff were very helpful, The dorm was okay but the lounge / kitchen area was dirty, only guests keep it clean. The staff need to ensure the kitchen is clean by cleaning it before they end their shift at 11:00 pm. The location is good for supermarkets and restaurants but you have to buy a ticket to use the U2 underground train or the tram. The building is really old. The shower rooms are extremely small, the water exits are clunged in some cases (causing the floor to be flooded)). For shower yourself, you have to hold the knob, otherwise water will stop coming out, and this is extremely annoying (managed to kept it open with my hips). The mattress was soft, making a hole in the middle, not comfortable at all. Staff is really kind and helpful. Location is absolutely perfect. if you are looking for hostel only one night maybe you can stay but otherwise i definitely would not recommend. Hostel is smelly. they dont clean the room at all. This hostel is okay and not very clean. Unfortunately, they don’t have restrictions on long term residents which really affected our stay. They completely took over the room—it was extremely messy and overwhelming. It’s basically like we were renting a bed in their personal room. Lockers were provided and we took advantage of that for security b/cthey don’t # the beds two new guests took our beds after us staying there. They blamed us for not leaving anything in the open to show we slept there.